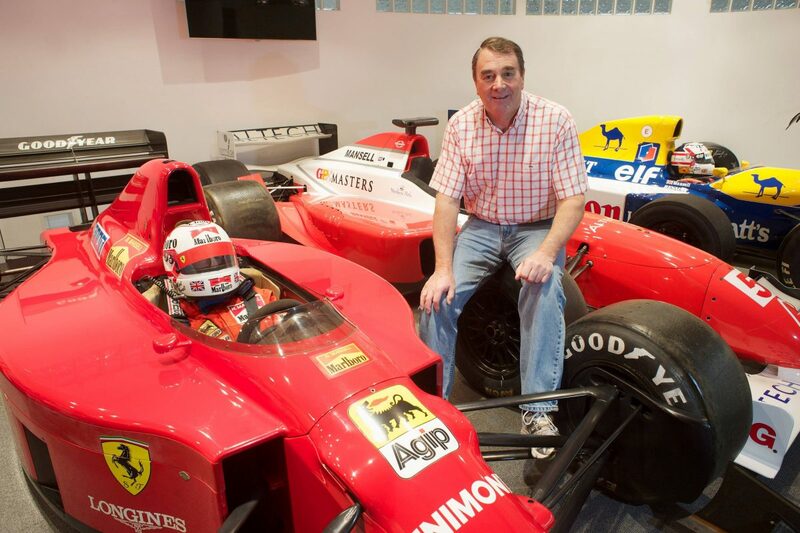 A racetrack owned by Formula One star Nigel Mansell will get a major upgrade after planning was approved – despite local fears it would ‘stand out like a lighthouse’. Mansell’s outdoor karting circuit will now feature new race control facilities in a purpose built hut. The existing portable cabins will be done away with to make room for the new structure, which will be lined with glass windows. The plans for Mansell Raceway near Dunkeswell, Devon, were approved – on the proviso that the building doesn’t emit too much light. Changes included moving the building, rotating it 10 degrees towards the racetrack and increasing the height by 50cm. But with the changes Mansell snuck in extra windows, meaning there would be an almost four-fold increase in the amount of windows. Ward councillor, Cllr Colin Brown, said the plans should be refused because ‘it will stand out like a lighthouse’. He added: “Last year the committee decided the building that was acceptable. “This is totally different to that building. It would be very difficult to argue the situation of 18inch taller making a difference to it, but the big difference is the windows. “It will end up with light spill in the open countryside. “This is a building that is on top of the plateau and it will be stand out like a lighthouse any time it is being used with the lights on. “They say it won’t be used in darkness, but the operating hours are 9am-9pm, so part of the year will be in darkness. “This building will stand out more than anything else and it will be occupied well into sunset and when it is dark outside.